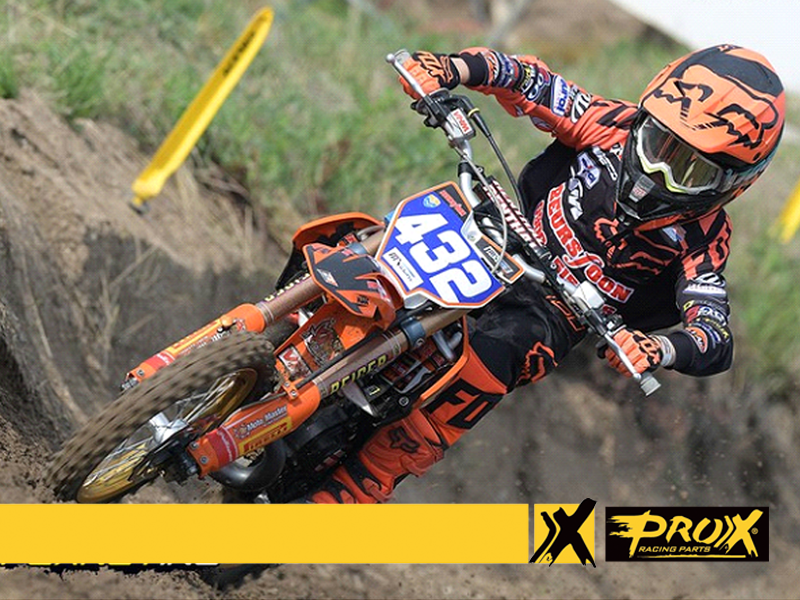 Ivano van Erp of the Beursfoon KTM team finished third in the final round of the 65cc European Championships at Loket in the Czech Republic. Van Erp won the first heat, but had to fight his way forward in the second. The track at Loket is known as a challenging and technical circuit. The loose stones render it very slippery in places. Ivano was in the missing group at the start of race one, and after putting pressure on the leader, he went to the front. He remained under pressure and dropped to second after a mistake, but quick time reagents the lead and rode to victory. The second heat took place on Sunday morning, and the track was very slippery after some overnight rain. 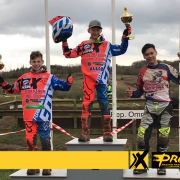 Ivano chose a start gate that forced him to the outside of the first corner and off the track. He was now stone last and had to ride the race of his life to get a decent result. He crashed again and had to redouble his efforts to get to tenth for third overall. 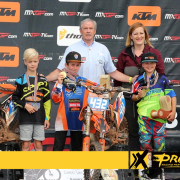 Kay de Wolf and Scott Smulders had no result in the 85cc class under the most tragic of circumstances. During their first race, fellow rider Igor Cuharciuc crashed and was fatally injured. Out of respect to the rider, his family, team and friends, the rest of proceedings for the class were canceled. The Beursfoon team extends its most sincere condolences to everyone affected by this tragedy. The team will travel to Estonia next weekend to participate in the junior world championships.